The bookshelf speaker is the prominent product of the audio world, and there are now more of them to choose from than ever. But with that ever increasing selection comes, of course, the burden of choice: How can you pick the best product when there are tens or maybe even hundreds of choices? This article is written to help you do that. We’ve reviewed, compared, or otherwise looked at just about every popular budget bookshelf speaker on the market, and while there’s no absolute “best” speaker, we can certainly make our top choices based on common consumer preferences and help you narrow it down enough to make a final decision you’ll be satisfied with. It’s important to understand that the audio market is prone to significant fluctuation: speakers that sell for $X today will suddenly sell for 30-40 percent less a few weeks later, or sometimes the prices will even jump back up just as drastically. It’s not so important to understand why that happens, but rather just that these price changes do definitely influence – in our opinion at least – the “best” speaker, especially so for the budget tier where a sudden discount might bring a new choice under the $200 threshold (or whatever admittedly arbitrary threshold you decide constitutes a “budget” speaker). Because of this, we treat our articles as “evergreen” and routinely update them, as best we can at least, with the most current information. When reviewing and comparing, we utilizes objective specs data as much as possible. While listening tests are valuable, they’re invariably subjective to the room they’re in and the listener’s ear. We recommend that you use articles such as this one to narrow down your choices, then to just listen to the speakers yourself, ideally in the actual room where you plan to use them. Most products have a 30 day return policy, so it’s possible to return/exchange something if you need to. If we had to pick an overall favorite, and a speaker set that we think would appeal to the most people, it’s these. The advantage of powered speakers is that you don’t need a receiver – you can just plug them right into your computer and they’re ready to go. It’s not surprising these speakers have topped best seller lists for a long while – the 1280Ts, for the price, have the best specs and build that we’ve seen. 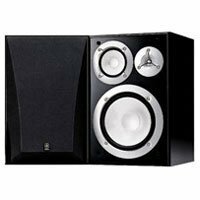 That said, these would not be a good choice for full fledged home theater speakers, and they’re not really designed for that. But most people who want budget bookshelf speakers are looking for a near-field desktop speaker, and these are our top pick. 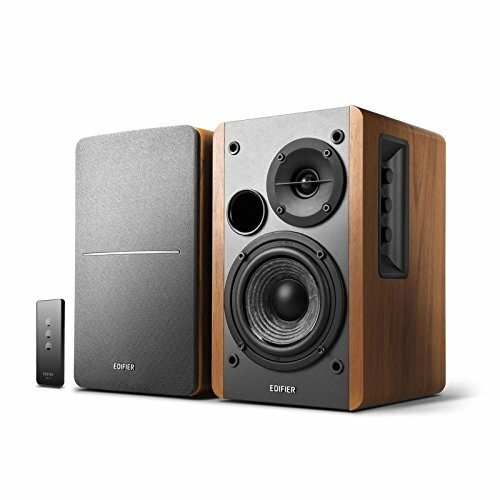 Edifier’s 1700BTs (reviewed here) are slightly more powerful and have Bluetooth (if you want wireless), but not quite comparatively worth the price increase in our opinion. Also note the 1280DBs are actually the newer version of this speaker, but have essentially the same build/specs. As long as the legacy 1280Ts are significantly cheaper, there’s no reason not to save money while they’re still in production. If we had to pick bookshelf speakers that give the best overall performance on their own, without ancillary surround speakers or a subwoofer, it’d be these. 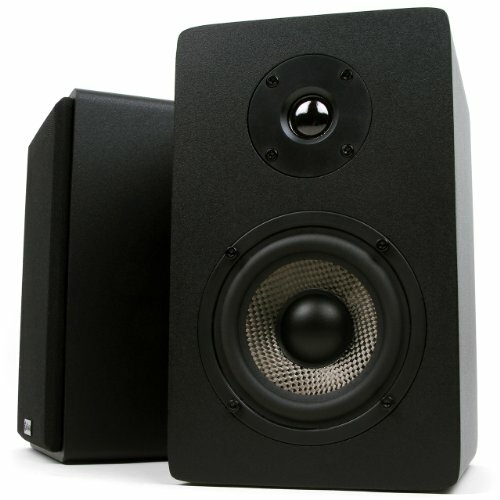 While most bookshelf speakers use a two way design that’s really intended to work in tandem with a subwoofer, the Yamaha NS-6490, despite being older, are still the only 3-way bookshelf speaker that we’ve seen that has an actual full sized 8 inch subwoofer built in. They’re comparatively bulky and heavy, but, if you’re looking for a budget bookshelf speaker that is really designed to sound great on it’s own, the NS-6490 remains our emphatic choice. If we had to pick a pair of bookshelf speakers that are powerful enough to be home theater speakers while being as cheap as possible, it’d be the MB42X. The latest version has a newly designed crossover that gives a speaker a very solid performance curve across its range with a respectable 75 W of operating power. These would work great as near-field desktop speakers as well, but keep in mind they’re passive so they’ll need a receiver to power them. They’ll also perform best with a subwoofer, which is usually the case with 2-way bookshelf speakers. Worth honorable mention here is the subsequently released powered version of these speakers, the PB42X (reviewed here), which are also great, not much more expensive, and don’t need a receiver. Not surprisingly, the most loud and powerful bookshelf speakers that we’ve seen go for under $200 are produced by Klipsch. 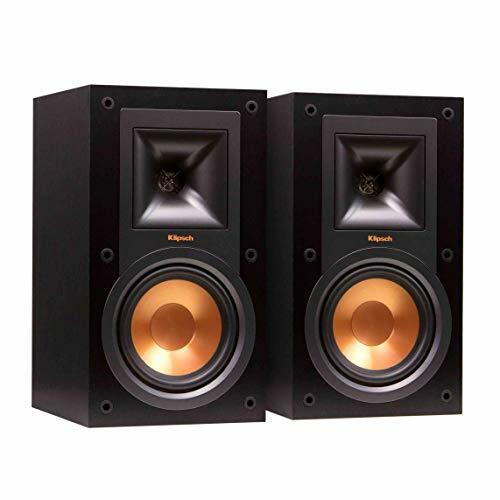 At 85 W per, with a 94 sensitivity rating, these are plenty loud enough to serve as main speakers in a home theater system for just about any room that isn’t exceptionally large. Also nice is the 5 year warranty as opposed to the above Micca’s bare minimum 1 year warranty. The R-15Ms are also 2-way speakers, though, and are best suited to serve in conjunction with a subwoofer. These too are now legacy speakers to the newer R-51M (reviewed here), but as long as they remain in production for significantly less money, there’s no reason not to just get the older version that’s essentially just as good, and is still not that old itself for that matter. The best budget subwoofers – adding a subwoofer to bookshelf speakers is almost always worth it. Read: do you need a subwoofer with bookshelf speakers? The best budget tower speakers – if you’re interested in a larger floorstanding speaker as an alternative. They’re generally more expensive than bookshelves but also have advantages.